These are the results of the ONE Championship Valor of Champions happened at the Mall of Asia Arena Philippines on April 24, 2015. The fight was ended in a no contest after an accidental poke on the eye of Luis Santos. 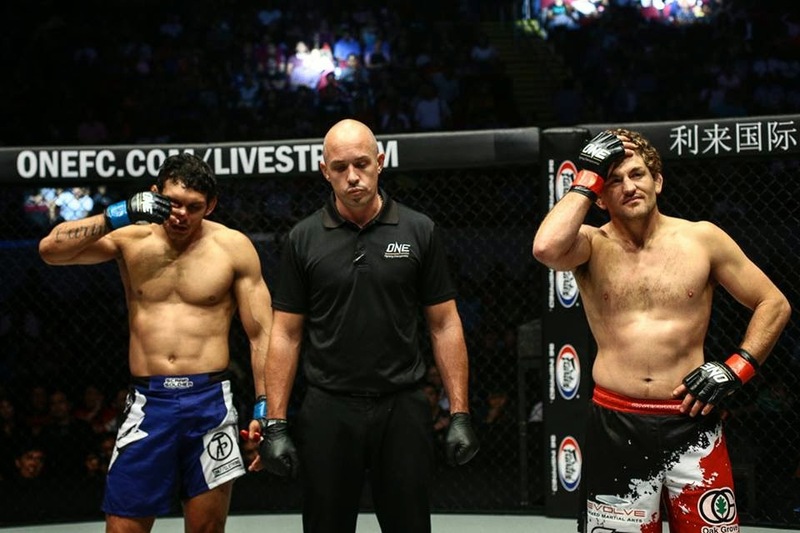 Ben Askren who totally disappointed said "This is embarrassing,". "I knew that the strategy and what I heard from people was he comes out strong early then he's going to look for a way out. And it's unfortunate that his way out came this way. He's lived in America for five years. I know he understands ‘get up,' I know he understands ‘yes' or ‘no.' I don't even know what to say. Let's fight again as soon as possible, maybe next week, maybe two weeks. You looked for a way out. I'm going to give you a better way out next time. After the accidental poke Santos was dominated and scored a two take down in the fight. In the Co-Main Event fight: Fil-American star Mark Striegl dominated and finished Casey Suire in the very 1st round of the fight. Striegl submits Suire via rear-naked-choked. Streigl won his debut fight at ONE: Championship and improved his record with 14 wins and 1 defeat. Anatpong "Mak Mak" Bunrad of Thailand dominated against the Team Lakays Geje "Gravity" Eustaquio. Bunrad won via split decision victory. Eugene Toquero earn a 1st round submission victory (rear-naked-choke) against Brianata Rosadhi of Indonesia. Eugene not only won the fight but also the crowd. What a performance by Eugene Toquero. 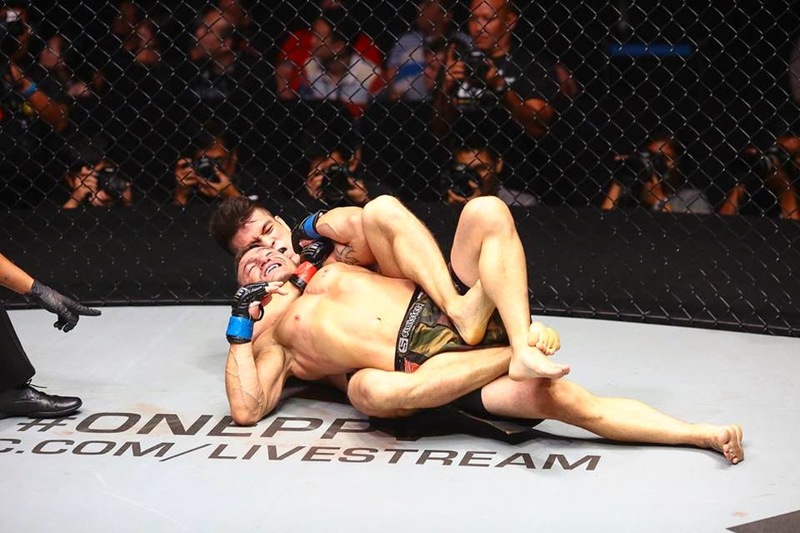 Filipino fighter Edward "The Ferocious" Kelly submits another Filipino fighter Jimmy Yabo via rear-naked-choke. Edward Kelly cameback from his 2 consecutive losses. Amir Khan Ansari dominated in their 3 rounds against Bashir Ahmad of Pakistan. Amir Khan scores a doctor stoppage due to a cut at 3:20 of round 3. Chinese Kung Fu Champion Liu Xiao Yang scored a devastating KO against Nicholas Lee of Singapore. Liu Xiao Yang connects a right hook that puts Liu Xiao Yang in to the canvas. Another Chinese fighter Wang Ya Wei defeats Sunoto of Singapore via 3rd round TKO stoppage (elbow and punches).